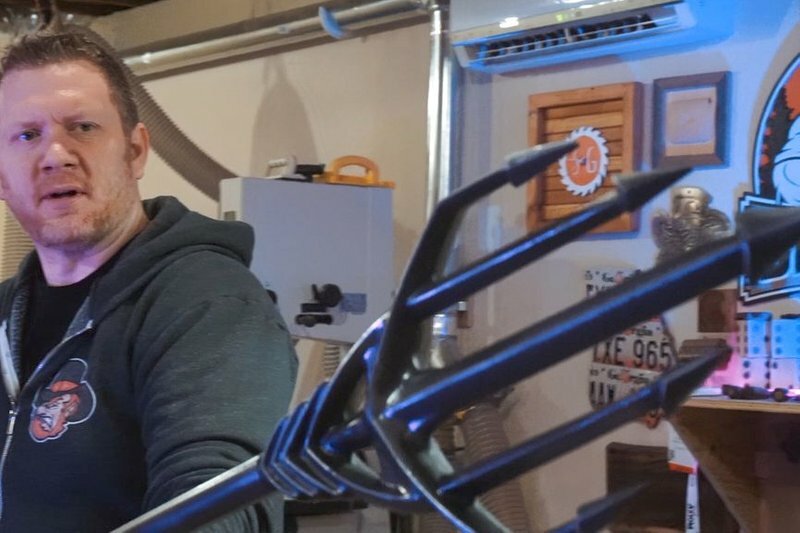 Zach Manring with Southern Ginger Workshop wanted to make a full-size movie prop replica of the Aquaman trident, but he didn’t want to make it from wood because it would be too heavy. That’s when he decided to use foam board and reached out to Coastal Enterprises. 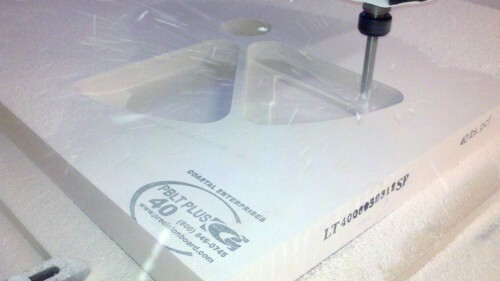 He ultimately went with PBLT-20 Precision Board HDU. Zach shared his learning process with us as he fabricated the trident on his Axiom AR8 CNC with V-Carve Pro software, and then primed and painted it for action! You can read an excerpt from the article he wrote on the Aquaman trident project as well as look at photos and view a super helpful how-to video below. After it’s cut out using anything you got, this stuff cuts nice! I sanding it down to 220 grit and test fit it on a 3/8in down that I centered on both the center pole (1in dowel) and the handle. 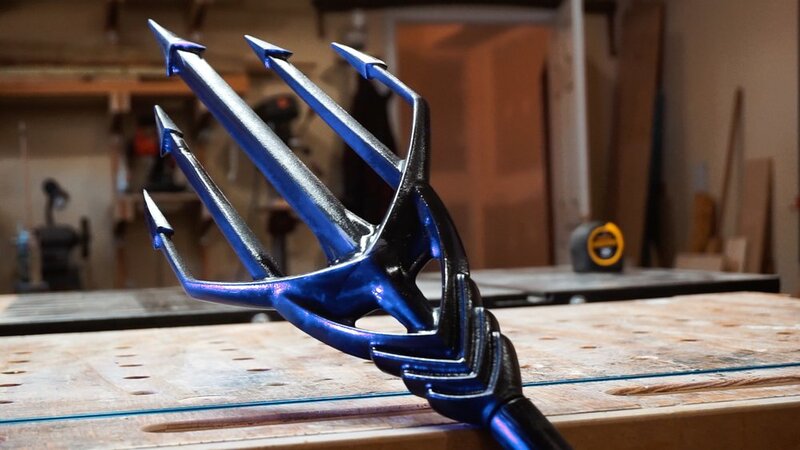 You can read the rest of the article HERE on making the Aquaman trident and also check out a more detailed step-by-step on Instructables. We love how cool Zach’s project turned out and think he nailed the Aquaman trident using Precision Board HDU! 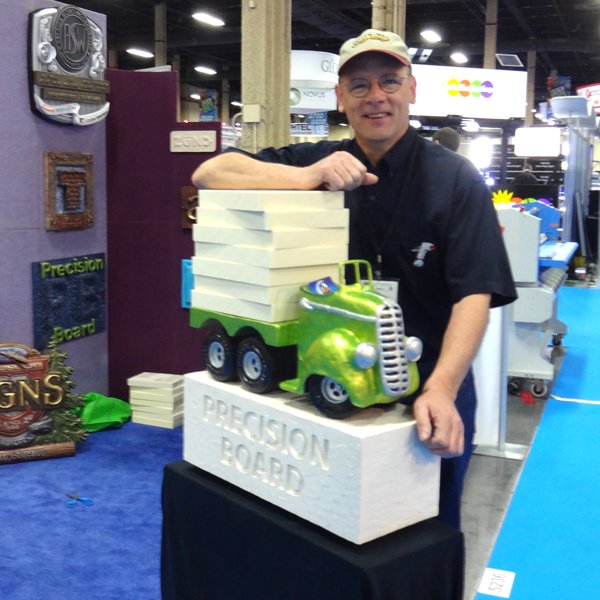 Our material is often used in theming and modeling projects, including movie props. 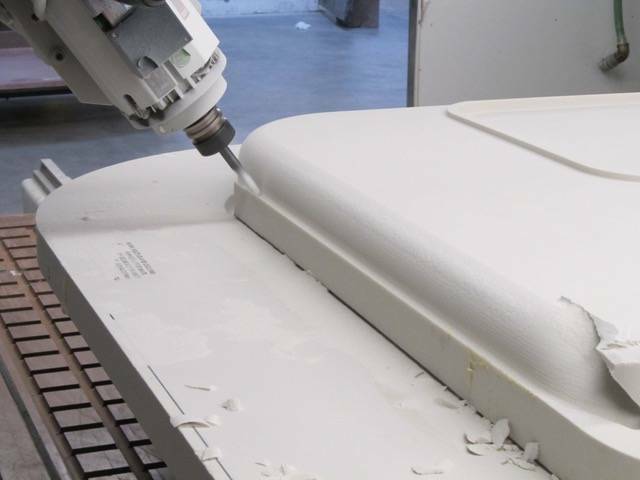 There is no limit to your creativity with high-density urethane. Southern Ginger Workshop is run by Zach Manring. You can check out his website HERE. Growing up, I watched my father & grandfather weld & woodwork in their shops. I bit off my first major project by converting the attic in my mom’s garage to a loft apartment when I was 18. I pursued a career in web development & worked my way up to a senior level developer. The thirst for building & making things never left me. In my Atlanta based basement workshop, I’ve built light up wooden signs, custom benches, aluminum badges & teardrop trailers. 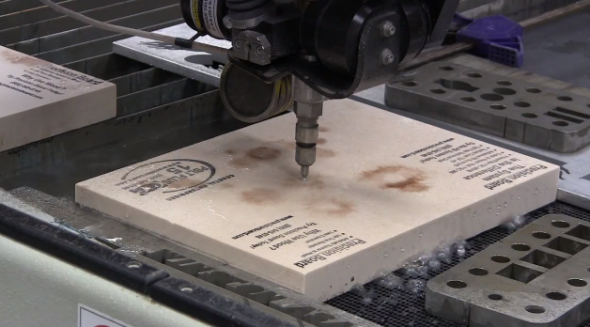 I also create weekly YouTube videos to show my design & build processes. Nothing is as rewarding as creating a custom solution to solve a customer’s problem. If you have a project in mind or are trying to figure out a solution, feel free to contact me. I pride myself in high quality craftsmanship, unique designs & fair, honest pricing. Hi, I’m Zach Manring & I’d love to discuss your ideas. 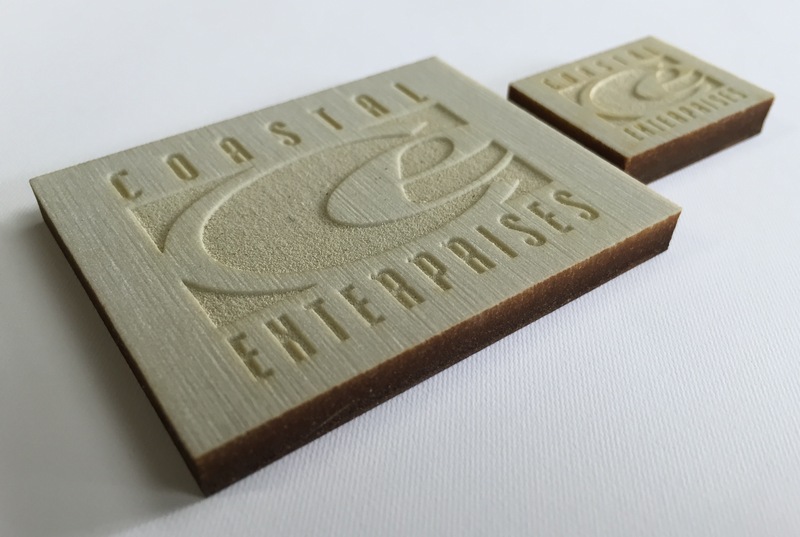 Coastal Enterprises manufactures Precision Board HDU, a versatile, cost-effective and eco-friendly urethane sign material that is particularly effective for making professional-looking indoor and outdoor dimensional signs. It is a closed-cell rigid substrate that does not rot, warp or crack. You can request free samples, get a quote or sign up for weekly newsletters packed with helpful information, including the monthly Blog Roundup.